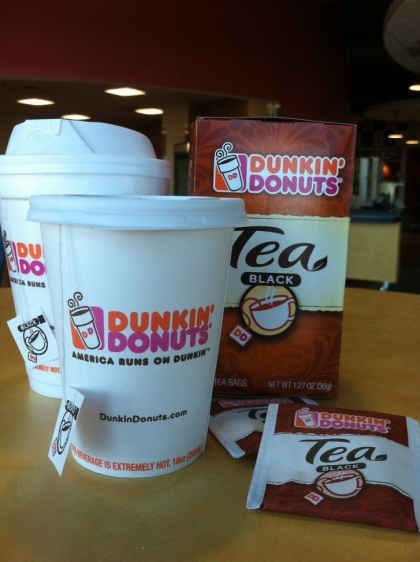 While many people associate Dunkin’ Donuts with coffee beverages, guests are also catching on to our delicious Hot Tea. This month, we are excited to introduce some exciting changes to our tea lineup that will have you calling for “tea time” at all hours of the day. I have had an appreciation for fine tea for many years—growing up in Woodford, England, my family always had a warm kettle on the stove. One of my earliest childhood memories is hearing the whistle of the kettle. I love the comforting and simplistic aspects of the beverage. Tea is still part of my everyday routine: I drink between two and three cups per day, adding just a spot of milk. 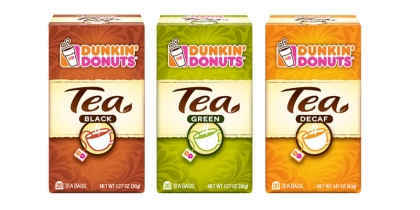 My favorite tea variety at Dunkin’ Donuts is our Original (Black) Tea, as I prefer bold and full-bodied flavors. 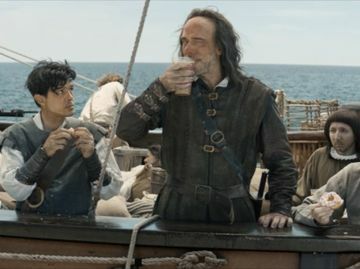 As an avid tea drinker, one of my top priorities is to ensure that Dunkin’ Donuts sells a premium tea blend. In order to do this, I look to the earliest step of our tea production: the farms. 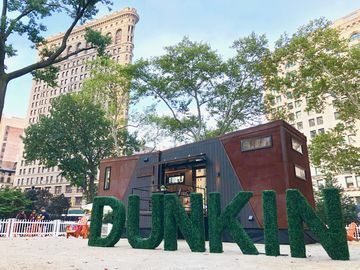 Dunkin’ Donuts sources its tea from farms that are members of the Ethical Tea Partnership, a non-profit organization founded in 1997. In addition to producing the highest quality tea, these farms are committed to improving tea farmers’ lives and the environment. After the farms, we focus on the tea bag. The tea bag has an important effect on the taste of the tea. As a bit of tea trivia, many people do not realize that tea bags were actually invented in the United States! In 1908, Thomas Sullivan, a tea merchant, began distributing tea samples to his customers in tiny bags. He expected his customers to empty the leaves, but they mistakenly assumed that they should drop the whole bag into the cup! The bags quickly grew in popularity as a cleaner and more convenient way to brew tea than a strainer. Sullivan continued to manufacture tea bags with gauze throughout the 1920’s. The tea bag has certainly evolved into a sleeker design since the days of Thomas Sullivan. We believe that even the smallest details of the bag can have a huge impact on the tea drinking experience. Dunkin’ Donuts tea bags are designed to maximize tea aroma and flavor. We have also eliminated the need for staples and glue by using a special tea bag folding technique. Lastly, we have created a new package that matches the excellence of our tea blends. 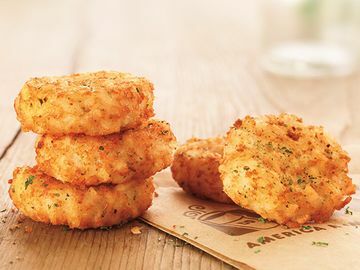 Be sure to look for the new package at participating Dunkin’ Donuts restaurants nationwide! I think you will be delighted by the more vibrant and modernized graphics. These boxes make the perfect visual complement to your tea experience, whether that experience involves enjoying a quiet cup to yourself or catching up over the teapot with friends. 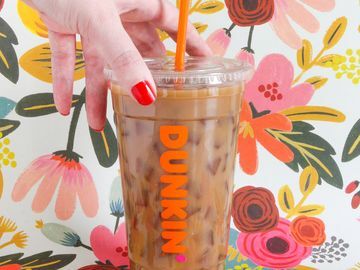 What is your favorite way to experience Dunkin’ Donuts tea? Tell us on Facebook or Twitter!